Springtime is a good time to refresh your loan portfolio and find ways to nurture sales from current or recent customers. Typically, it is cheaper to hold onto them than to woo a new one to your lot. So what else can you do to strengthen your relationship? Operating expenses can be lower for returning buyers as less outreach is needed because they know your dealership and you have built some trust with them. You have their payment history and can better assess the level of risk. This point can be especially helpful when courting your deep subprime customers. And maybe some sunk costs, such as ones for compliance, don’t need to be recaptured. Here are some thoughts gleaned in random order from browsing the latest industry reports. •	Implement a collateral management system? This technology, such as LenderOutlook™, can provide additional peace of mind if you want to solicit customers who have deep subprime credit scores or even a history of defaulting on their loans. These solutions allow you to pull quick status updates or view historical trends via a dashboard. Some devices offer payment reminders and towing alerts. Important information and benefits for keeping loan defaults at bay. Looking at the data, TransUnion’s Q4 2016 Industry Insights Report shows that auto delinquency in general has increased 13.4% from Q4 2015. •	Readjust your price to market ratio? Determine if you can bump up your sales velocity without reducing your front-end gross profit by lengthening the loan period. 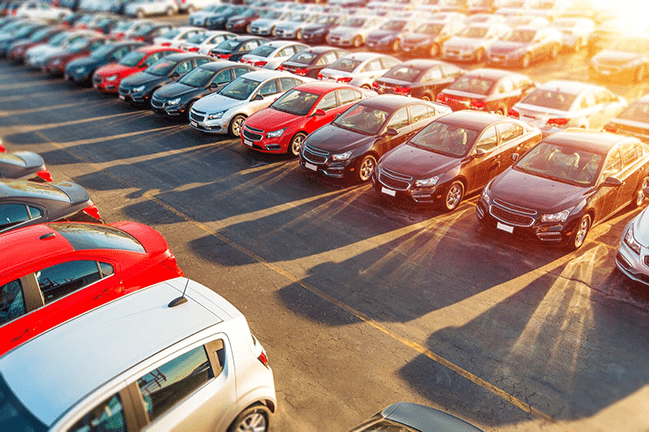 A BHPH Report article notes that longer loan terms, having newer vehicles available, and the ability to finance deep subprime customers have been tools of third-party underwriters. Experian’s State of the Automotive Finance Market report for Q4 2016 shows that used vehicle loan amounts are increasing to an average of $19,329. Echoing the BHPH Report, the Experian report used vehicle franchises having longer average loan terms (66 months) in deep subprime compared to independent dealers (54 months). •	Sell additional services? Maybe they don’t need a new car, but they have a new driver. Let them know about add-on services such as SkySmart™ on LenderOutlook. Or, offer a summer repair package if extra driving is expected. These are just a few thoughts on how to grow sales with your current customers. So take the time to review your loan portfolio. Reach out to those who you haven’t heard from in a period of time, say six to 12 months. Then let them know about a solution that might fit their needs. Protect these new vehicle loans with a payment assurance solution. It’s a smart way to keep the sales on your lot and not a competitors. The CalAmp LenderOutlook team will be at the 19th Annual NABD National Conference on May 23-25, 2017 in Las Vegas. Stop by to preview our next-generation payment assurance solution!